The proposal of the European Commission of a regulation governing the SPC manufacturing waiver is currently under the scrutiny of the Council of Europe; new opinions from the relevant committees of the European Parliament have also been issued, and Commissioner Bieńkowska replied on behalf of the Commission to a question for written answer by deputy Brian Hayes. Meanwhile, the generics producer’s association Medicines for Europe (MfE) expressed great concern about the undergoing discussions and claimed undue US inferences in the European legislative process. EFPIA’s director general Nathalie Moll reinforced from the Federation’s blog the point of view of the originators, asking for a waiver limited to the manufacturing for export. The proposal for an SPC manufacturing waiver sees the originators and generics industries on the two sides of the fence. Many are the opposing interests, starting from the originators trying to maintain the protection of their internal market and asking to limit the waiver just to the production of medicines for export in countries where the SPC is not in force or has already expired. The voice of the European Federation of the Pharmaceutical Industry Associations (EFPIA) has been confirmed by a post signed by EFPIA’s director general Nathalie Moll and published of the Federation’s website on 25 October. On the other side, the genericists European association Medicines for Europe published two very hard communicates to complain about “vested interests” that are lobbying against the possibility to launch new generics and biosimilar medicines in Europe from day-1 after SPC expiry. Both the parties are claiming an expected broad impact of the SPC manufacturing waiver on the European capacity to innovate and maintain a competitive position on the global scenario. EFPIA said originators are investing more than 35 billion euros in R&D in Europe every year, and employ over 750,000 people, with the ambitious goal to make the EU a world leader in medical R&D. According to Medicines for Europe, the extension of the SPC manufacturing waiver would contribute a € 9,5 billion economic value in revenues and would worth some 25,000 new jobs in the European Union. A comprehensive SPC manufacturing waiver is the final target for Medicines for Europe, representing the interests of the generics and biosimilar industry. According to the think tank, this approach would allow the European industry to better compete with extra-EU producers on the global markets. Furthermore, the inclusion of a Day-1 launch provision, the removal of anticompetitive requirements and the immediate applicability of the new regulation to existing SPCs would allow European patients to gain a broader access to medicines. In a first post published on Medicines for Europe website on 11 October, the association denounced the “concrete risk that disproportionate influence on the Council of the European Union will hamper the progress of an effective, usable SPC manufacturing waiver and maintain the status quo”. According to the genericists representative, “vested interests” would be active to exert pressure on the Council “to remove clauses or add new ones that will jeopardize the whole legislation in an attempt to limit competition in unprotected markets at the expense of European competitiveness and growth”. Delocalisation outside the EU is the risk recalled by the notice in the case the SPC manufacturing waiver would lose its potential benefits in the European contest. 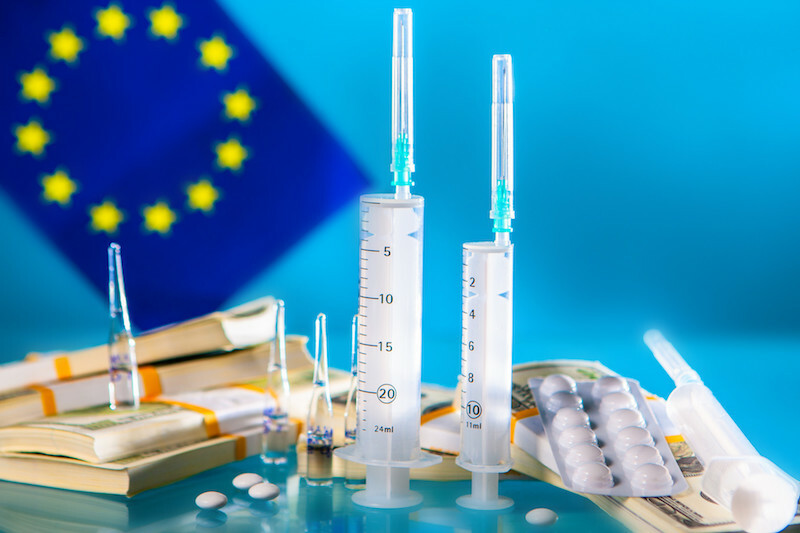 The association asked for a clear provision for ‘Day-1 Launch’ to allow generic and biosimilar manufacturers to produce and stockpile in the EU to be prepared for launch immediately after the SPC expiry. The generics industry also expects the removal of the anticompetitive notification processes to EU intellectual property (IP) regulators foreseen by the Commission proposal, that would have “a significant dissuasive effect regarding the use of the manufacturing waiver”. Genericists also asked for the possibility to immediately apply the waiver to existing SPCs, in order to exploit the opportunities coming with the next significant “patent cliff”, due in 2020. Medicines for Europe considers “highly regressive” the revisions proposed by the Austrian Presidency. “The proposals are detrimental. The EU’s status as one of the world’s leading pharmaceuticals centres will diminish, the European legislative framework today does not reflect the evolution of the industry since 1992, when the SPC was introduced. Europe is a pioneer in biosimilar and other complex medicines, we should preserve and boost our excellence”, added Mr van den Hoven. A second, strong position from Medicines for Europe came on 22 October, with a post on its website denouncing alleged interferences from US governmental institutions on EU’s policymakers. According to Medicines for Europe, the meeting would have pursued the US commercial interests to close the States internal market to biosimilar medicines. The reply of EFPIA on behalf of the originators industry came on 25 October with a post by director general Nathalie Moll, where she only refers to an “export manufacturing waiver to the SPC”, thus closing the doors to the possibility for genericists to manufacture, stockpile and enter the European market from day-1 of the SPC’s expiration date. In any case, for EFPIA’s director general the waiver would represent a signal “that Europe is weakening its commitment to IP incentives and innovation”. Clear safeguards – i.e. transparence and legal certainty – would thus be needed in order to mitigate “potential spill-over effects that would further erode IP rights and could have the (perverse effect of) disincentivising investment in Europe, putting jobs and economic growth at risk”. A timely and fair notification system is among the requests made by EFPIA, together with labelling measures to prevent that products manufactured for export only would be re-directed back to the EU or would be launched on the EU market before SPC expiry. Mrs Moll also confirmed the request for a non-retroactive implementation and a limited scope of the regulation. “We believe these are sensible provisions to avoid weakening Europe’s IP framework further, particularly in today’s context of intense global competition for pharmaceutical research and development investment”, wrote EFPIA’s director general. The Environment, Public Health and Food Safety (ENVI) Committee of the European Parliament published its draft opinion on 13 September. Rapporteur Tiemo Wölken has highlighted the importance to balance the competitive scenario, as European manufactures of generics and biosimilar are currently greatly disadvantaged compared to extra-EU competitors. The document extends the purpose of the SPC manufacturing waiver not only for export, but also to “facilitating Day-1 entry within the Union”. The suggestion is to make possible a “stockpiling waiver, giving generic and/or biosimilar manufacturers more incentives to manufacture within the Union and not in third countries”. According to Tiemo Wölken, the SPC and stockpiling waiver would also allow to reinforce the EU’s position as a hub for pharmaceutical innovation and manufacture, especially in the field of biosimilars, and would help the reduction of prices of medicinal products and an improved sustainability of healthcare systems. The Committee on International Trade (INTA) also published its opinion on 15 October, highlighting the importance of pharmaceutical products as one of the pillars of society, being not just commercial objects. The Committee supports the possibility of a day-1 entry on the market for generics along the entire document, and adds a point in the preambles stating that “neither the production for export, nor the production for stockpiling purposes run counter to the legal objectives of the SPC system”. Furthermore, according to INTA the only effect of prohibiting stockpiling would be to boost the business opportunities of non-EU companies to the disadvantage of generic manufacturers established in the EU. The Committee also rejected the Commission’s proposal to make public the commercial information related to the intention of genericists to enter the market and the compulsory use of a special labelling for products intended for export. The INTA Committee also supports the immediate application of the SPC manufacturing waiver, as soon as regulators will be ready to receive the “intention to make” notifications. Commissioner to the Internal Market, Elżbieta Bieńkowska, participated on 8 October to the Q&A time at the European Parliament, replying to a question from deputy Brian Hayes. According to Mrs Bieńkowska, the Commission proposal balances the interests of the whole spectrum of stakeholders, including patients as well as generic and originator companies. “Supplying the EU market as soon as the SPC expires will be facilitated by the existence of manufacturing facilities in the EU, set up in order to produce and export medicinal products during the term of the SPC”, said the Commissioner, according to which the proposal represents a “suitable compromise” between the diverging interests of SPC holders and the swift applicability of the waiver.